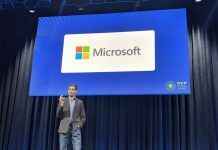 At OCP Summit 2018 Mellanox announced that its Spectrum switches and ConnectX adapters would work with Microsoft Azure SONiC. SONiC stands for Software for Open Networking in the Cloud. SONiC is an extremely interesting technology that is bringing software-defined networking to new classes of users beyond the hyper-scale players like Microsoft. 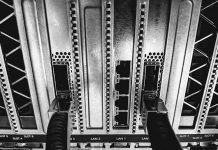 We recently had a guide on how to get started with 40GbE SDN with Microsoft Azure SONiC for under $1K. For production workloads, Mellanox now has a solution using its products which shows just how much of a force these SDN efforts are. 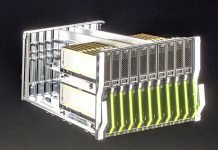 Mellanox Technologies, Ltd., a leading supplier of high-performance, end-to-end smart interconnect solutions for data center servers and storage systems, today announced the development of a solution that enables users to simplify and reduce the cost to extend existing non-virtualized on premise data centers to Microsoft Azure. The solution runs over an industry standard software and hardware that includes Software for Open Networking in the Cloud (SONiC), Mellanox Spectrum switches and ConnectX IO adapters, which can scale to up to millions of virtual machines (VMs). The solution eliminates the extreme complexity and the high cost, that have been required with older solutions and thus enables Enterprise IT managers to expand their non-virtualized data center to Azure and to achieve their goals while maintaining an attractive total cost of ownership (TCO). Mellanox Spectrum switch systems are an ideal spine and Top of Rack (ToR) solution, allowing maximum flexibility, with port speeds ranging from 10Gb/s to 100Gb/s per port, and port density that enables full rack connectivity to every server at any speed. The ONIE (Open Network Install Environment) based switch platforms support multiple operating systems, including SONiC and leverage the advantages of Open Network disaggregation and the Mellanox Spectrum ASIC capabilities. Microsoft’s Software for Open Networking in the Cloud (SONiC) is the first solution to break monolithic switch software into multiple containerized components. SONiC enables fine-grained failure recovery and in-service upgrades with zero downtime. At its core, SONiC is aimed at efficient cloud networking use cases, where simplicity and management at scale are the highest priority. 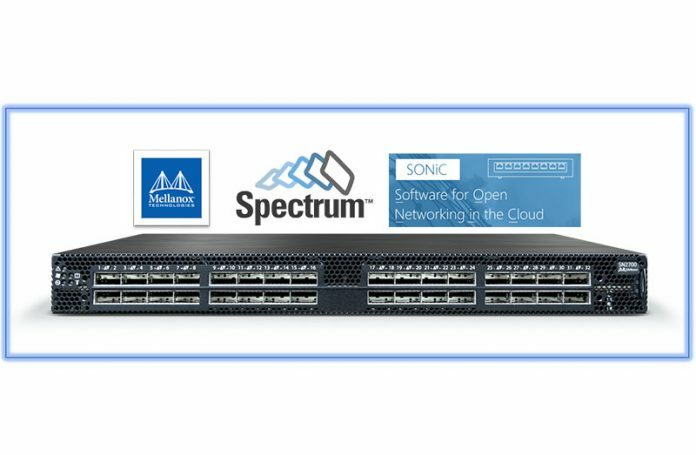 Complete with monitoring and diagnostic capabilities, SONiC is a perfect fit for the Mellanox Spectrum family of switches. Does it do InfiniBand too?